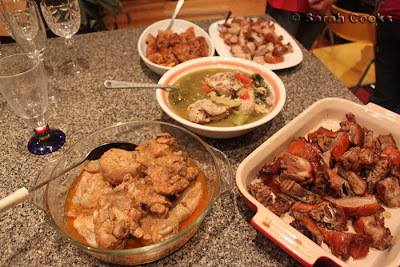 Sarah Cooks: Happy New Year! Happy new year Sarah! 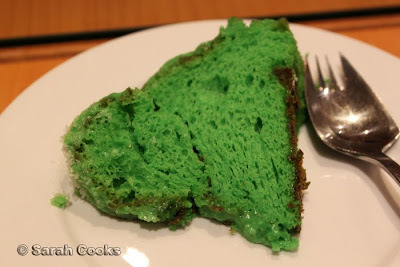 That pandan cake looks amaaazing, I checked out the recipe, can't believe it has no green food colouring in it! Happy Chinese New Year to you to from one fellow Malaysian Chinese to another. Hope this year brings more cooking expeditions! Michelle - Happy new year to you too! Lol I can barely walk with all this eating. Yet somehow it's not stopping me from eating leftovers! Hah. Laura - Thank-you! Oh, the pandan essence has green food colouring in it, hehehe. 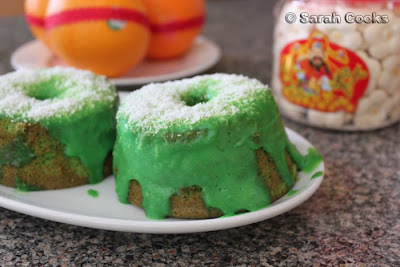 That's why the cake is so Wicked green! Anonymous - Thank-you for your comment! Happy new year to you too! Oh, we have a massive massive pot of that soup left. We'll be eating it for days hahaha. Happy New Year Sarah. 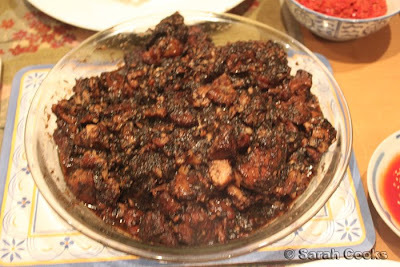 I can't believe how similar our food was for the Chinese New Year dinner. I too went and bought roast duck. 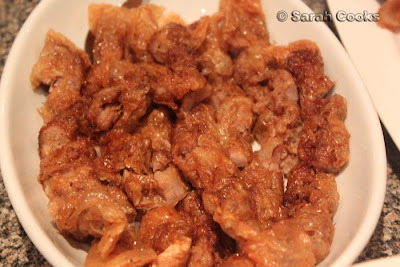 Then we made roast pork ourselves. Mum made loh bak and abalone claypot. 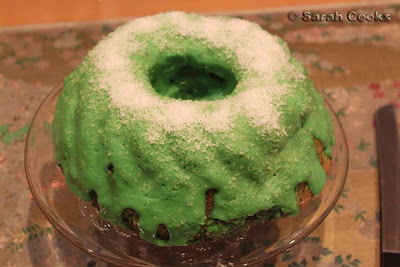 Then I made the pandan cake too. And I made two, so there was some left overnight as well. 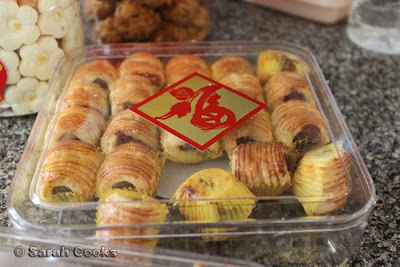 All Asians must eat similar things for Chinese New Year I guess haha. Hannah - Sorry, I have no idea how to make those peanut cookies! 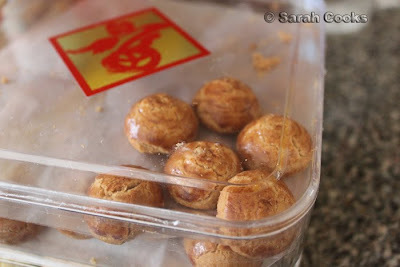 I just buy them from Chinese groceries when I get the craving. (Somehow the ones from Malaysia always taste better though). Rilsta - Gong Xi Fa Cai! You should say it like this "At Chinese new year, we Chinese eat loh bak to represent prosperity, and green pandan cake to represent wealth. We Chinese are obsessed with freshness and depth of flavour". Then push up your big thick-rimmed glasses, LOL. great post! left me homesick as hell but i loved it! the peanut cookies looked f king amazing! xoxo kristine.